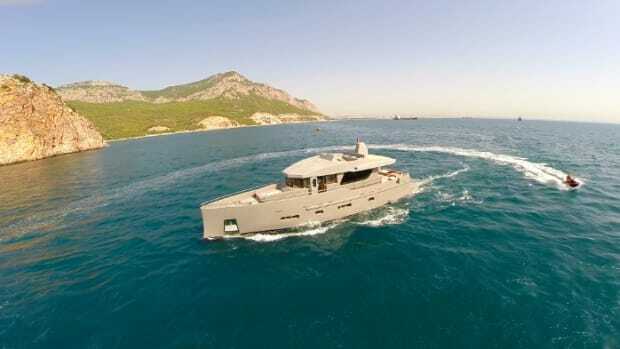 Dressed in dark grey steel and displacing over 470,000 pounds, Bering Yachts announced the launch of Veda this past week. 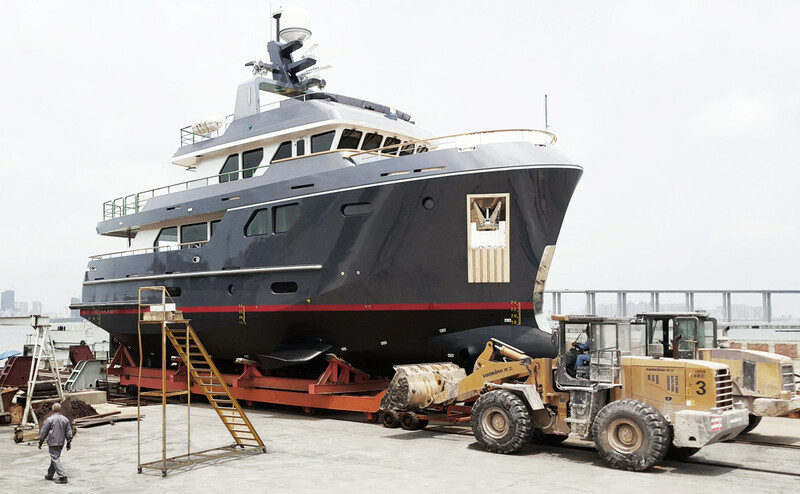 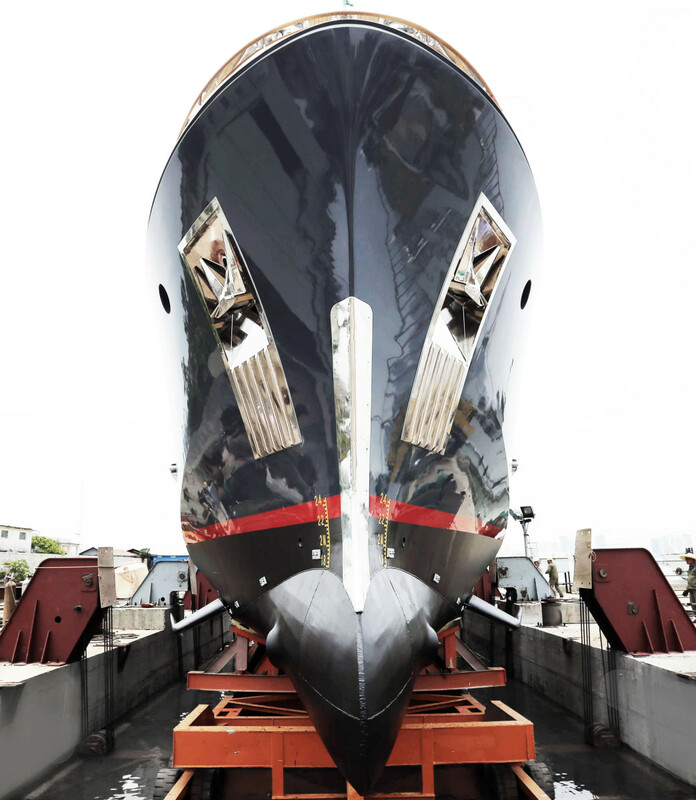 Checking in at 82 feet LOA, Veda is the latest B80 to be launched by the steel-yacht builder and is the flagship model of the company&apos;s Expedition Class of trawlers. 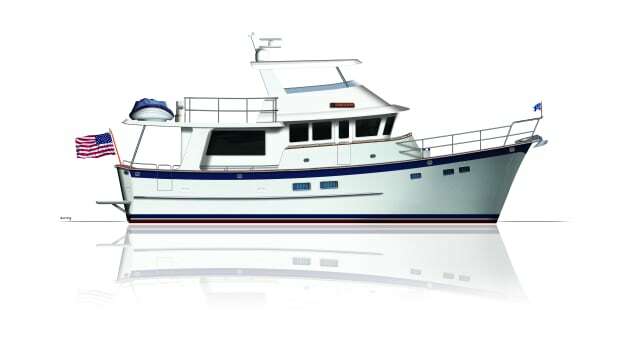 Powered by twin, 350-horsepower Cummins QSM-11 engines, Veda is capable of both impressive range and speed for a trawler of her size. 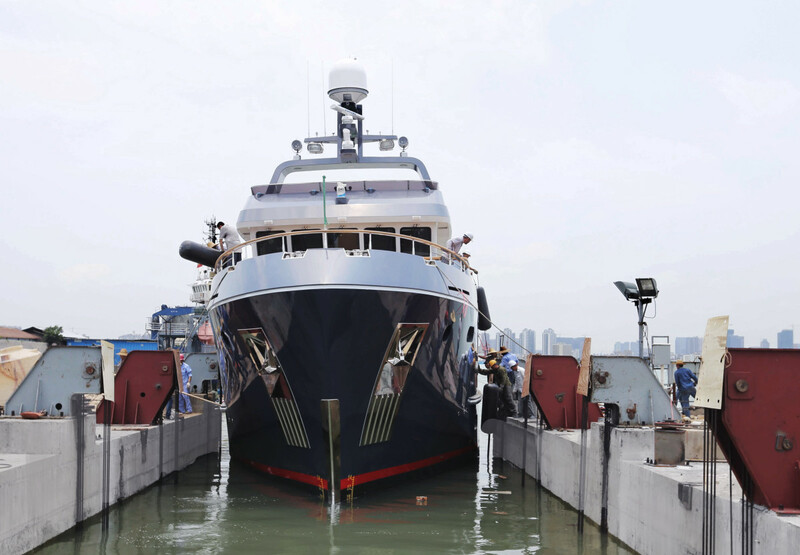 With the throttles wide open, Veda can achieve a top cruise of 12 knots and, at the typical 9-knot cruise, has a range of 6,000 nautical miles. 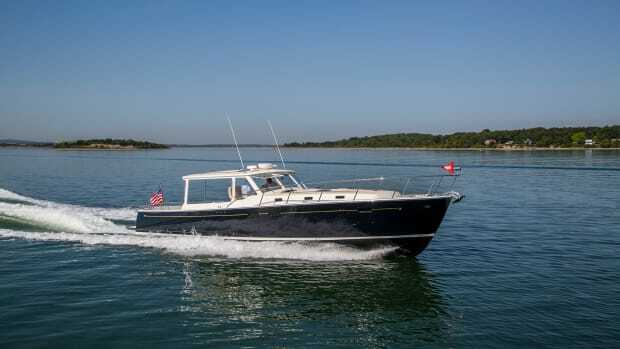 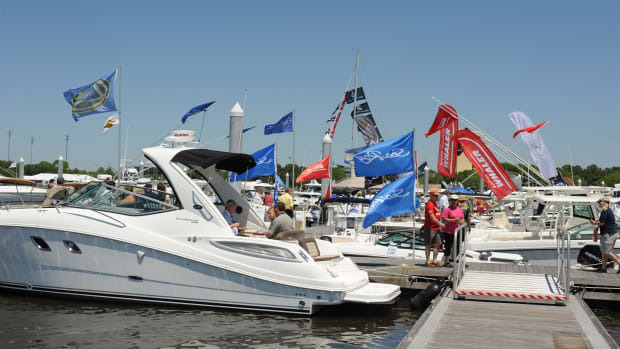 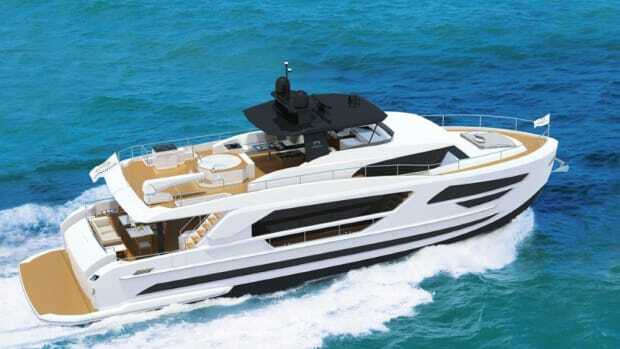 Despite the harsh, masculine exterior, the B80 offers owners a high-class interior, which features rich, Makore wood accented with marble and granite stonework, all housed in a spacious 25-foot, 8-inch beam. 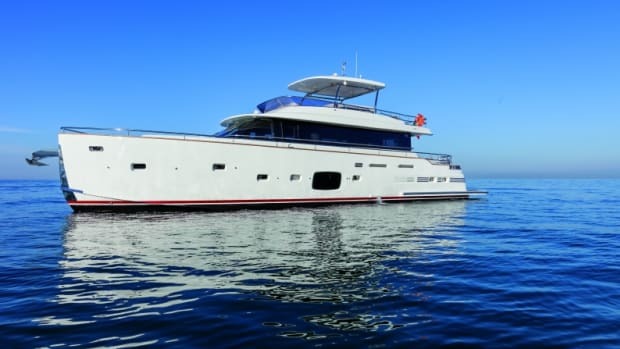 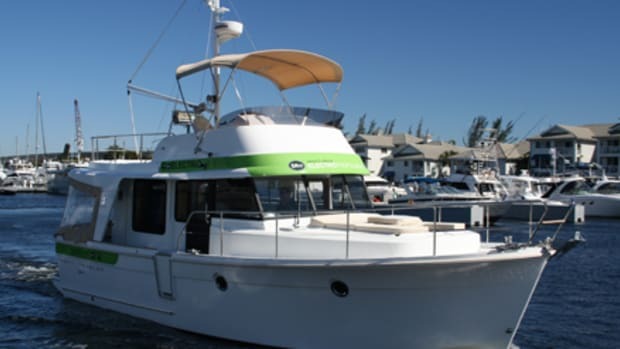 Veda can comfortably accommodate eight guests in her four luxurious staterooms, each equipped with ensuite heads. 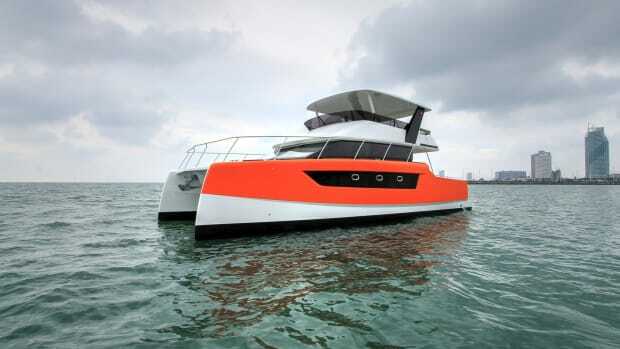 "Spacious, elegant, and practical," Marketing Manager Deniza Avamil said in a company press release. 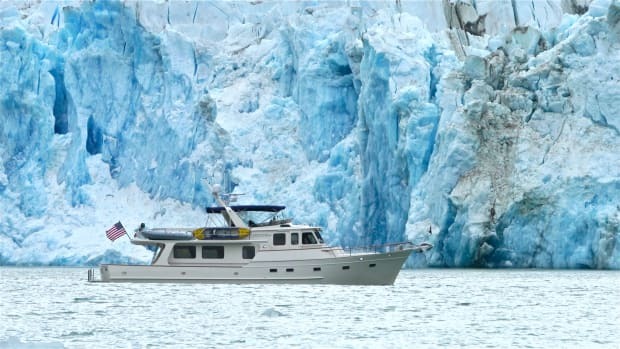 "The Bering 80 is a true expedition yacht, featuring the quality finishes and luxury of a superyacht."